Subsidized • SLC-Blanding and SLC-Richfield lines may begin in mid-June. Courtesy | Elevated Transit Elevated Transit plans to begin in mid-June to offer new, subsidized bus service between Salt Lake City and portions of southeastern and central Utah. Courtesy | Elevated Transit Elevated Transit plans to begin in mid-June to offer new, subsidized bus service between Salt Lake City and portions of southeastern and central Utah. Courtesy | Elevated Transit Elevated Transit plans to begin in mid-June to offer new, subsidized bus service between Salt Lake City and portions of southeastern and central Utah. Courtesy | Elevated Transit Elevated Transit plans to begin in mid-June to offer new, subsidized bus service between Salt Lake City and portions of southeastern and central Utah. 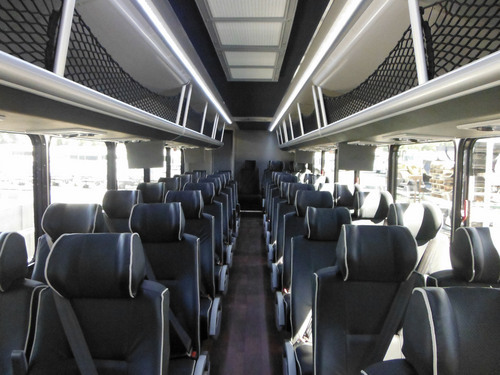 New intercity bus service is coming to connect the Wasatch Front with portions of southeastern and central Utah that now lack public transportation. A new company named Elevated Transit plans to begin operations in mid-June between Salt Lake City and Blanding on one line, and between Salt Lake City and Richfield on another. The Blanding line will also have stops in Monticello, Moab, Green River, Price, Spanish Fork and Provo. The Richfield line will have stops in Salina, Centerfield, Gunnison, Manti, Ephraim, Fairview, Mount Pleasant, Moroni, Nephi and Provo. The Utah Transportation Commission, meeting in Monticello, heard a report Friday about how the Utah Department of Transportation and the Greyhound bus company are providing a subsidy of $864,000 a year for five years  intended as a 50-50 match to fares on the lines. "We&apos;re essentially going to be the connection service for Greyhound and the Wasatch Front  kind of like SkyWest is to Delta" Air Lines, said Steve Fuller, CEO of Elevated Transit. "UDOT identifies these two particular areas as being underserved communities, and there is no public transportation to either one of them currently," Fuller said. "Our goal as a business is to use the subsidy through this contract to grow the business to the point that public funds are no longer needed and it will self-sustain. We&apos;ll know, I think, relatively soon whether that&apos;s possible." 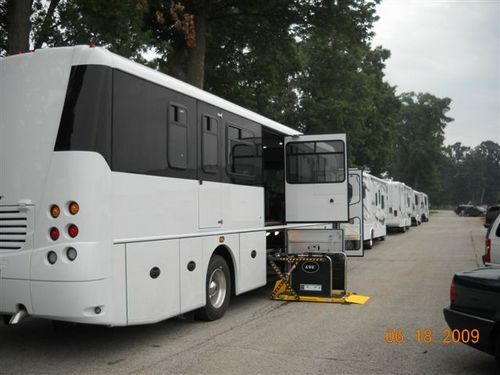 Fuller said the company has ordered six 35-passenger buses and intends to begin service once they arrive. He notes buses will have Wi-Fi, lavatories, TV screens and baggage compartments. Plans tentatively call for morning buses that begin at both ends of the lines  in Salt Lake City and in Blanding and Richfield. The Richfield line also will have an evening bus leaving from Richfield five days a week. Fuller said that will allow visitors to the state prison in Gunnison to make round trips on the same day from the Wasatch Front. Full fare from Richfield to the Intermodal Hub in Salt Lake City is proposed at $45. The full fare from Blanding to Salt Lake City International Airport is proposed at $80. Both are tentative and subject to approval by UDOT and Greyhound. "We think it&apos;s going to be a great public service," Fuller said, "especially for these rural communities." The company is still working on a website, elevatedtransit.com. 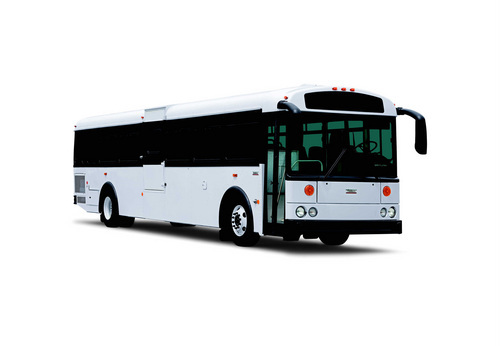 It is also seeking to hire bus drivers and bus attendants based in Salt Lake City, Richfield and Blanding. Those interested may apply via email to Alicia@elevatedtransit.com. Fuller said Elevated Transit is a wholly owned subsidiary of Wasatch Transportation, a family-owned business that has been operating nearly 30 years in Utah. He said it has specialized in school and special-needs transportation.